Currently, I am using the Inkredible+ printer to assist multiple labs at my institution in order to replicate in vivo results in vitro for more reliable data than current in vitro studies. These projects are mainly in their infancy but span from cardiomyocyte tissues and breast cancer tumor models. My main goals include optimizing the bioprinting process for consistent reliable printing across different cell types and projects, as well as bioink optimization. We currently focus on alginate/gelatin inks. My interest in bioprinting spans back to my Senior year of high school. I saw a documentary on the future of printing organs which inspired me to do biomedical engineering for my BS. Specifically, the simple idea of using induced pluripotent stem cells to grow patient specific organs and tissues seemed out of this world. 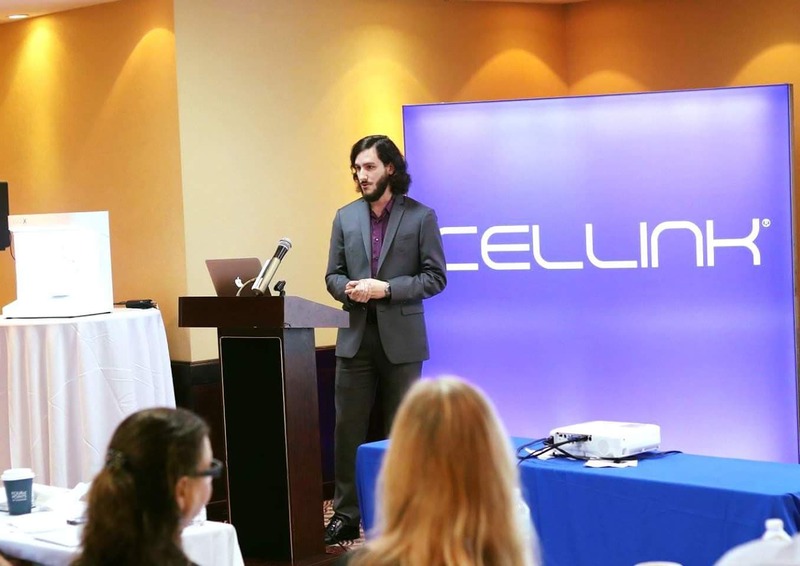 As the years have gone by this technology has advanced tremendously and with the start of Cellink this provided my current institution an affordable opportunity to be involved in bioprinting and therefore I volunteered to spearhead it from the graduate student side of things. My current PhD work focuses on cardiovascular function, such as contraction/relaxation of the vessel wall and other computational blood flow modeling. Therefore, I can see the potential to print artery models to replicate patient specific models for diagnostic use. While this is well in the future, I believe alot of the ground work could be accomplished in the next few years. I would also like to focus on angio and vasculogenesis in printed tissues, as the main issue with printing tissues is lack of oxygen perfusion. To perfuse tissue similar to in vivo samples would revolutionize alot of what is currently done in bioprinting. The most exciting aspect of bioprinting is simply creating tissue normally found in the body. As I mentioned previously, one day we should be able to create patient specific organs from induced pluripotent stem cells. It is extremely exciting to think as n organ could be printed in a matter of hours outside the body when naturally the process is much more sensitive, energy intensive and time consuming during human development, not to mention almost impossible to do in adults. While the technology is years away from being perfected, I am excited to know this is where it is heading and hope to make a contribution.